Arguing that the end of the eighteenth-century witnessed the emergence of an important female poetic tradition, Claire Knowles analyzes the poetry of several key women writing between 1780 and 1860. Knowles provides important context by demonstrating the influence of the Della Cruscans in exposing the constructed and performative nature of the trope of sensibility, a revelation that was met with critical hostility by a literary culture that valorised sincerity. This sets the stage for Charlotte Smith, who pioneers an autobiographical approach to poetic production that places increased emphasis on the connection between the poet's physical body and her body of work. Knowles shows the poets Susan Evance, Letitia Elizabeth Landon, and Elizabeth Barrett-Browning advancing Smith's poetic strategy as they seek to elicit a powerful sympathetic response from readers by highlighting a connection between their actual suffering and the production of poetry. From this environment, a specific tradition in female poetry arises that is identifiable in the work of twentieth-century writers like Sylvia Plath and continues to pertain today. Alongside this new understanding of poetic tradition, Knowles provides an innovative account of the central role of women writers to an emergent late eighteenth-century mass literary culture and traces a crucial discursive shift that takes place in poetic production during this period. 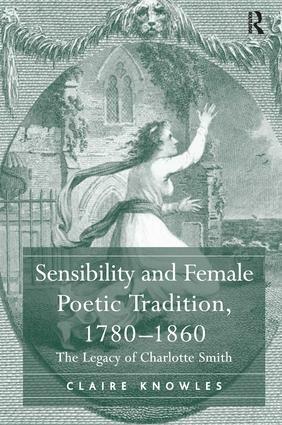 She argues that the movement away from the passionate discourse of sensibility in the late eighteenth century to the more contained rhetoric of sentimentality in the early nineteenth had an enormous effect, not only on female poets but also on British literary culture as a whole. Claire Knowles completed her PhD at the University of Melbourne and is currently Lecturer in Literature at La Trobe University, Bendigo, Australia.